Flavorful ground beef stuffed with ooey gooey mozzarella cheese. 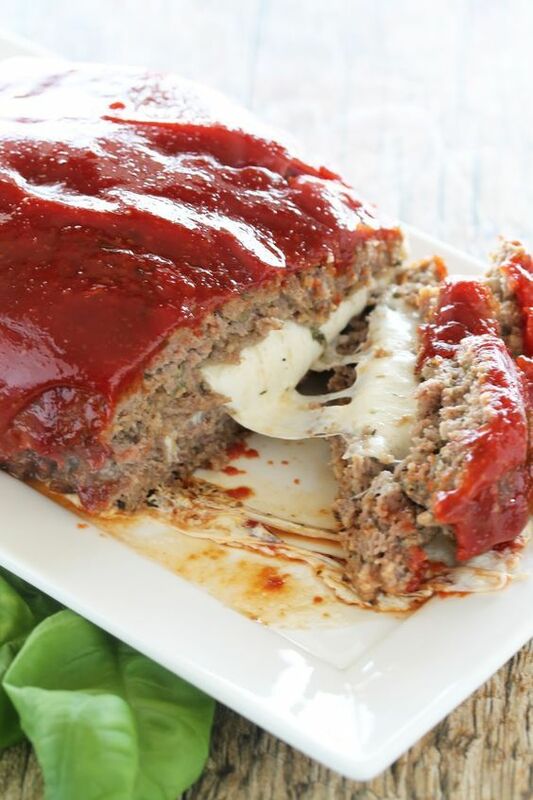 This Mozzarella Stuffed Meatloaf is sure to become an instant family favorite! 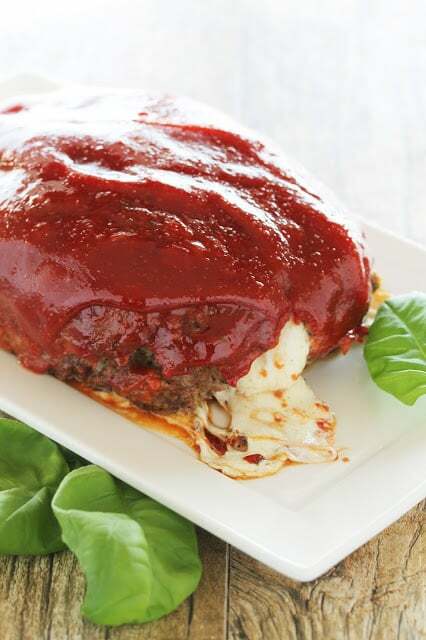 Flavorful ground beef stuffed with ooey gooey mozzarella cheese. Preheat oven to 350 degrees. Lightly grease a glass baking pan (9x13) with nonstick cooking spray. In a large mixing bowl combine ground beef, bread crumbs, basil, oregano, parsley, salt, pepper, milk, and worcestershire sauce. Knead until combined. Divide meat in half. Shape one half of the meat into the bottom half of the loaf and place in prepared pan. Place mozzarella slices down the center, leaving ½ inch around the ends and sides. Shape remaining half of meat as the top half of the loaf, sealing the edges. This is a free-form loaf so it doesn't need to be perfect. In a small mixing bowl whisk together ketchup, brown sugar, worcestershire sauce, red wine vinegar, garlic, salt, and cayenne pepper. Pour half of this mixture over the meatloaf, reserving the remaining half for later. After 45 minutes, remove from oven and pour the remaining sauce over the loaf.Increase temperature to 400 degrees and bake for an additional 15 minutes. 0 Response to "MOZZARELLA STUFFED MEATLOAF"